Yesterday I went for my second run in my new shoes. As some of you may have read in previous posts after reading Born to Run, I registered and successfully completed my first ultra run, a grueling 12 hour race, that I completed 38 miles in 10 hours before the terrible rains. The one black Friday purchase I did make was a new pair of running shoes and I decided to go Bare Foot. Yes, reading Born to Run influenced this as well but there was a greater factor I realized while running yesterday. When I was a kid I remember getting a new pair of Zips or Kangaroos and running as hard as I could outside my house in Baltimore. I mean this is what you did, the new shoes made you run faster and it is almost as if they had a will of their own that took you over. Yesterday on my run I realized whether the Bare Foot running trend is just a fad or not, it has sparked new motivation for me during a very difficult time of year to train in Seattle, especially this year with how wet it has been. Never before in my life have I lived so close to trails that I can easily get to to run. Never before have I enjoyed running in sopping wet grass through my neighborhood. 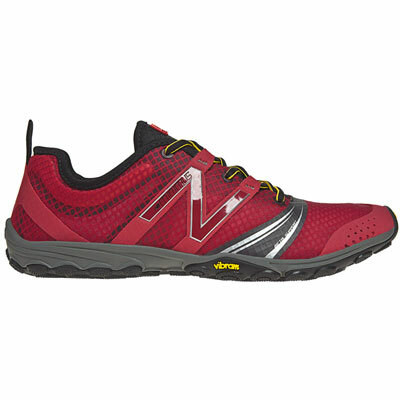 I am using wisdom and not going out on long runs in my New Balance Minimus 20V2 Trail Shoes, rather I’m keeping them to 3-6 miles on the trails. Also I have kept my old shoes, which are very worn to wear as I run longer distance that requires running on the street and pavement. As I head to San Francisco this week for work I’ll only be taking my ‘street shoes’. So today whether you are running, working or watching kids I hope that you are able to find some motivation and encouragement to be your best, Rock and Roll!